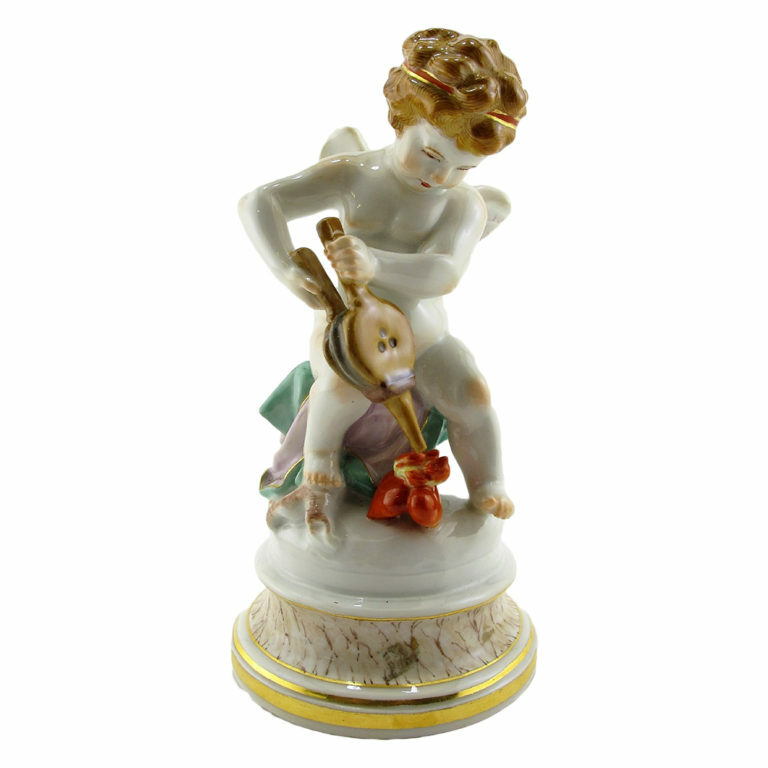 Porcelain was so desirable that it was once known as ‘white gold’ and was traded around the world by the Chinese, who perfected the art 2,000 years ago. 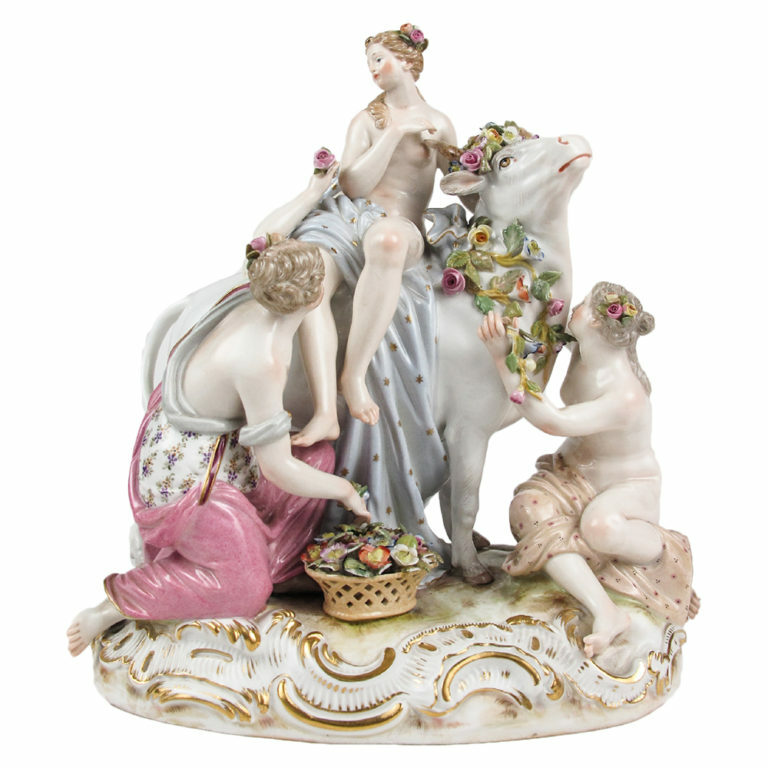 The method of making it was unknown to Europeans until the Meissen factory near Dresden began making ‘true’ porcelain in 1710. 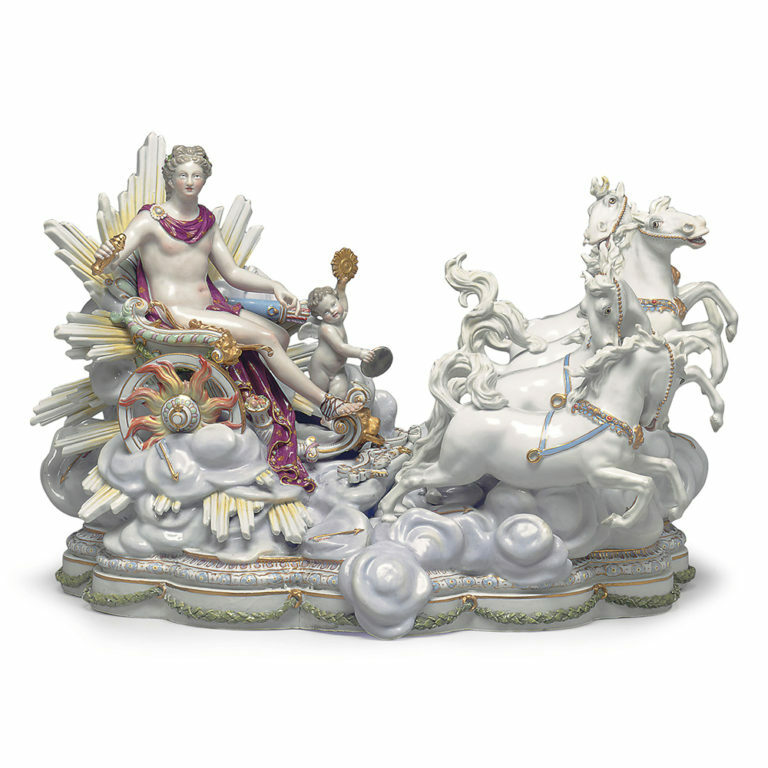 Meissen produced some of the finest porcelain sculptures ever made as can be seen in our new Fantastique exhibition. 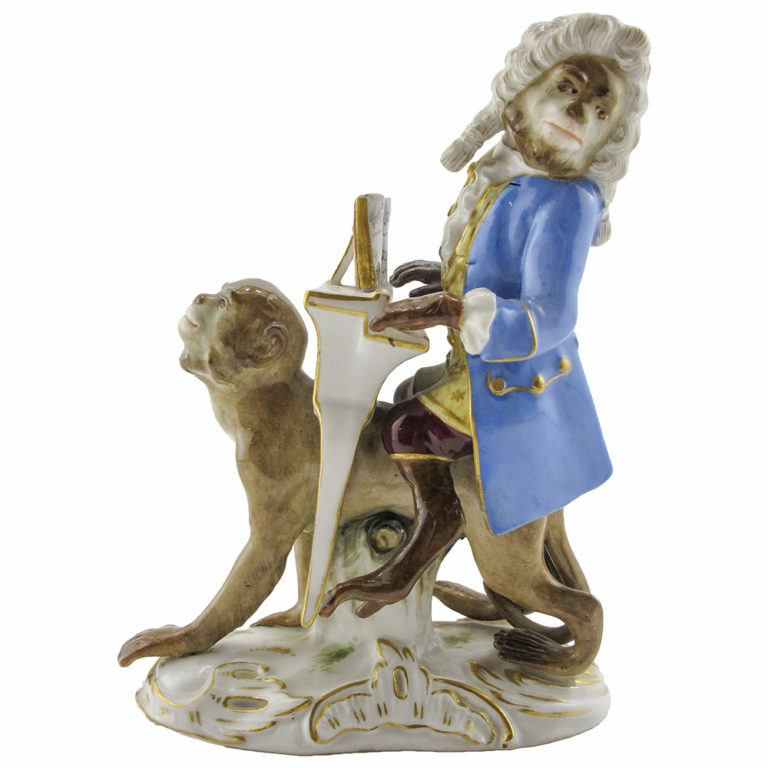 Johann Friedrich Böttger has been acclaimed as the inventor of European porcelain but his tutor, the physician Von Tschirnhaus, had spent several years working on the magic formula before his sudden death in 1708. As a young alchemist, Bottger had bragged that he could make gold but failing this he turned his attention to ‘white gold’ using his tutor’s experiments. 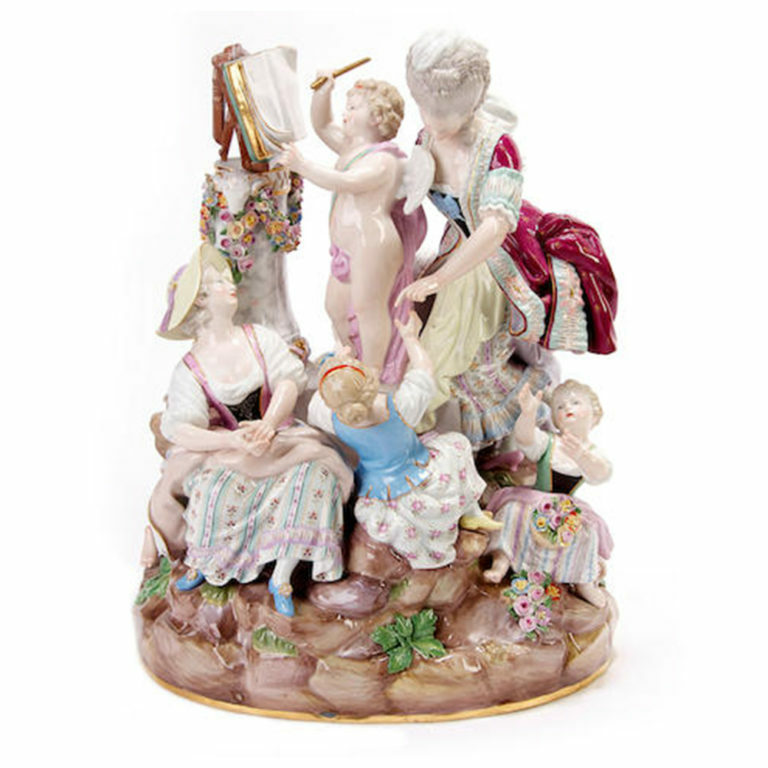 Following the discovery of a recipe for ‘true’ porcelain, August the Strong established a factory at Meissen and lured talented artisans to produce porcelain table wares and ornaments. In 1720, the crossed swords logo was introduced to protect its productions and is one of the oldest trademarks in existence. 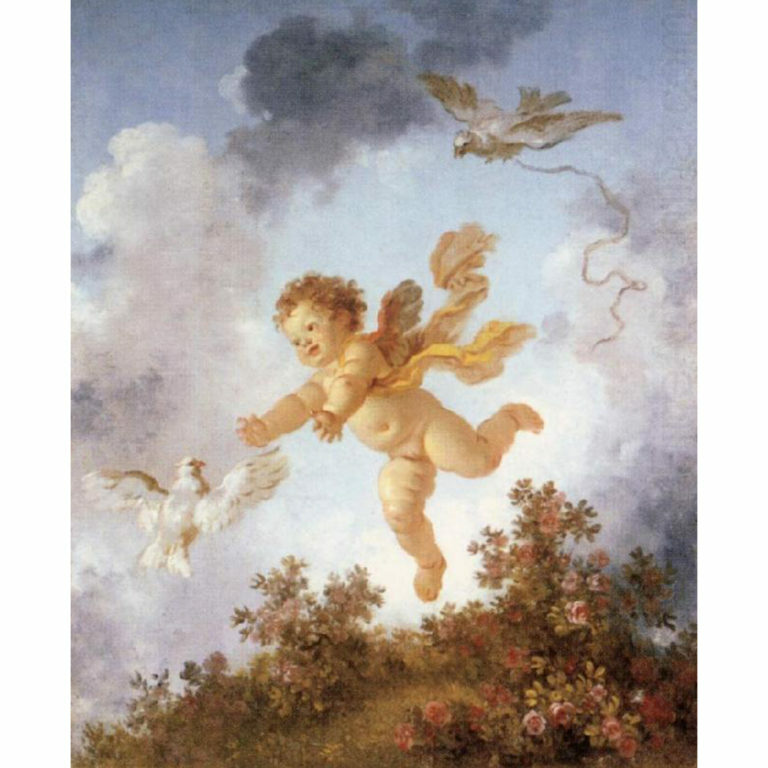 Johann Gregorius Höroldt from Vienna set up the painting workshops in the 1720s and decorated many beautiful pieces in the Oriental style for the porcelain-crazy Augustus who already had an enormous collection of Asian pieces. 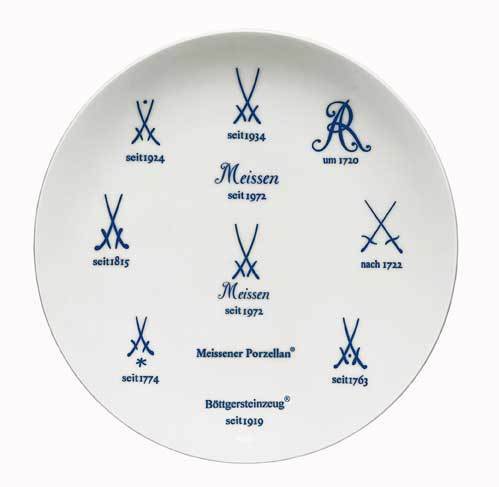 The King also gave beautiful Meissen porcelain, such as snuff boxes, with his August Rex monogram as diplomatic gifts to fellow rulers to symbolize his power and wealth. 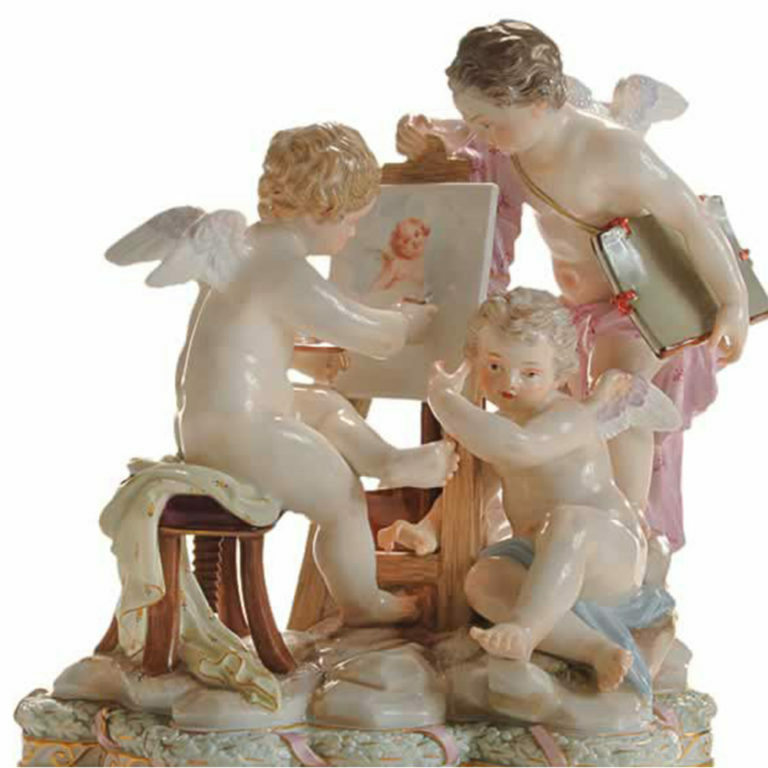 Porcelain figures were produced as table ornaments gradually replacing the trend for sugar sculptures made by confectioners for aristocratic banquets. 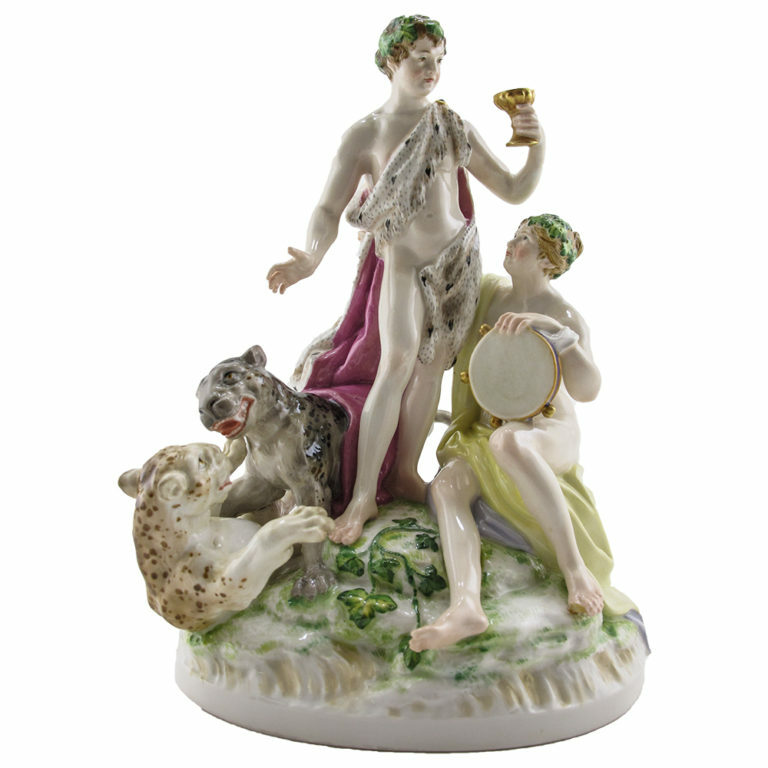 The sugar was pressed into molds to form complex figures and elaborate garden settings. These were expensive and ephemeral since they could be eaten, and porcelain provided a more permanent solution. 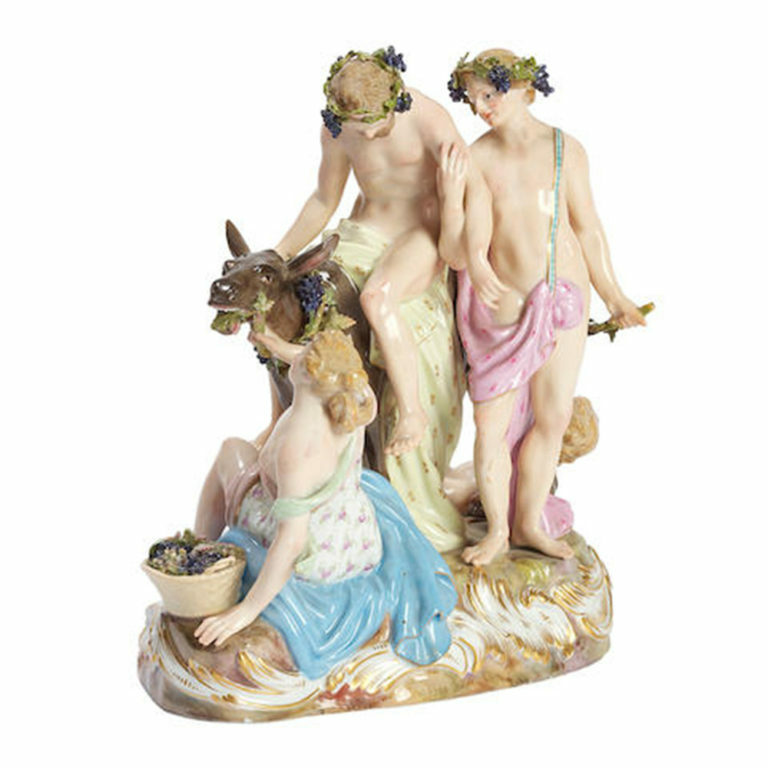 Sugar tableaux were inspired by mythical, allegorical and satirical subjects reflecting the scholarly interests of the hosts. 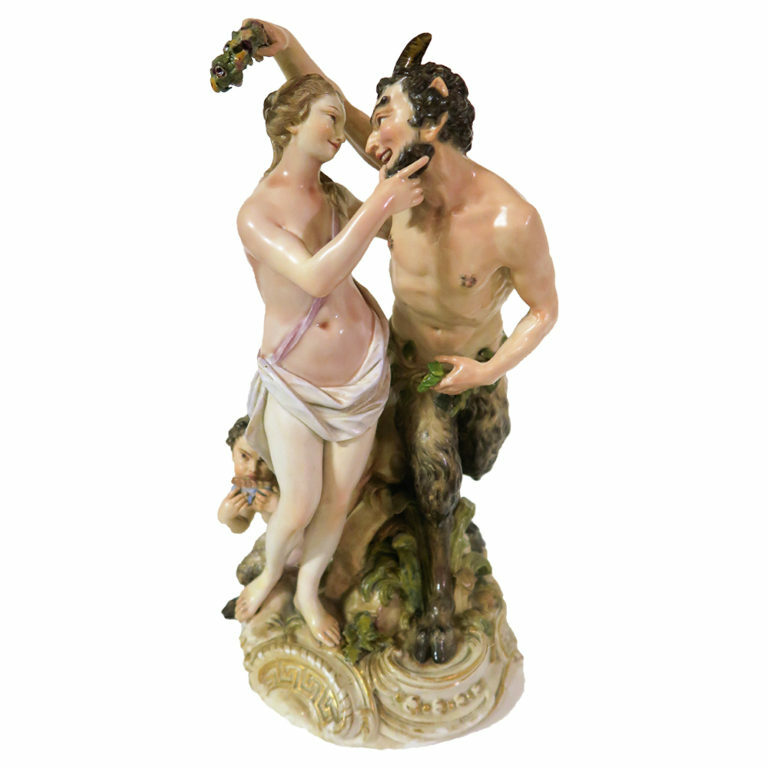 Gods and heroes from Greek legends jostled for attention with Harlequin and Columbine from the Italian Commedia dell’Arte which was fashionable in court circles during the 18th century. 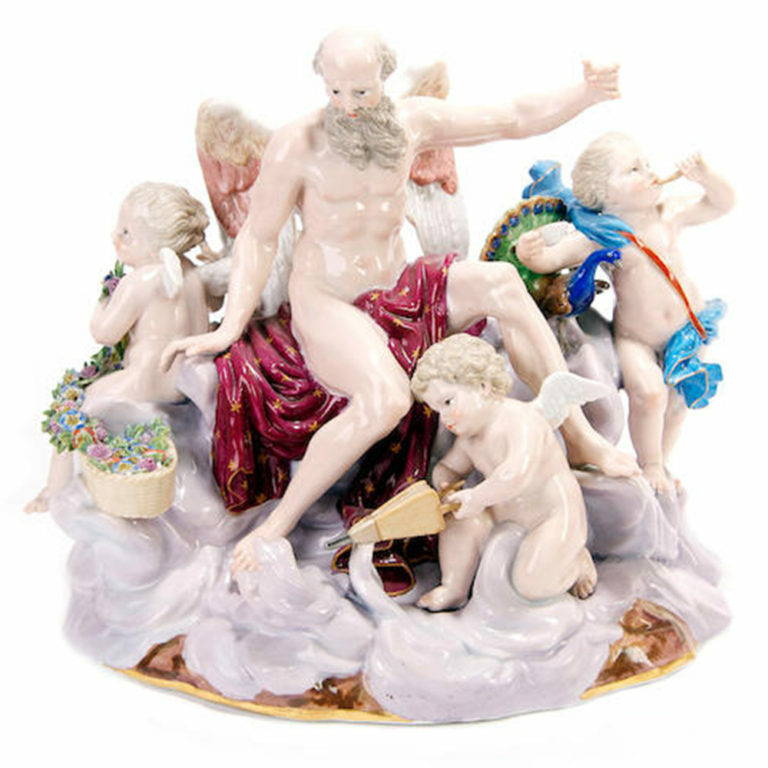 The most skillful sculptor at Meissen was Johann Joachim Kändler who became the court sculptor to Augustus before becoming the Meissen Model Master in 1733 and later an arcanist admitted to the secrets of the porcelain formula. Kändler seemed to breathe life into his models, giving them a sense of dynamic movement. 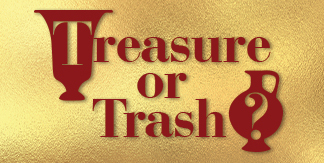 His elegant flair and easy charm show the influence of the rococo style in fashion at the time. 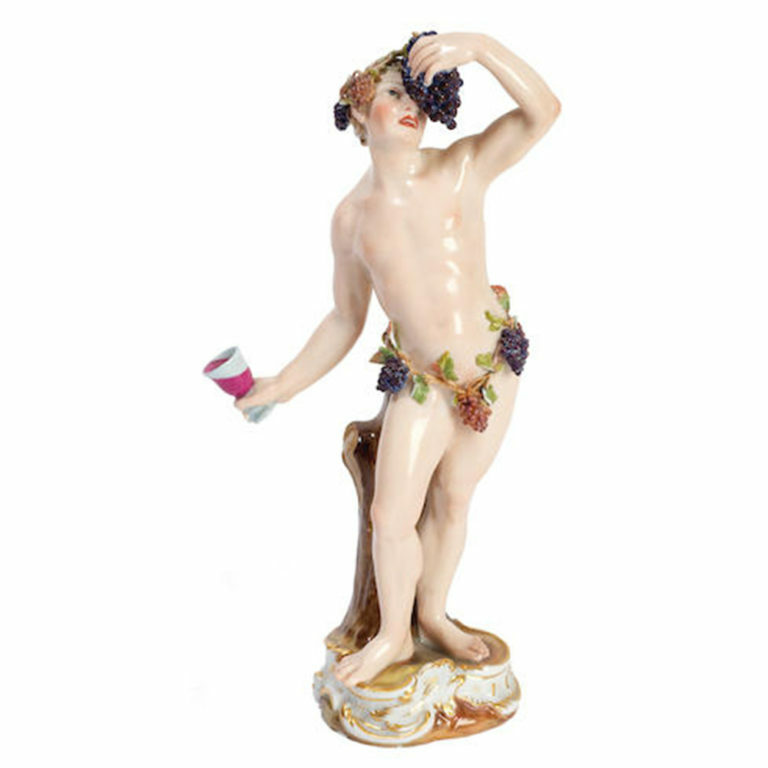 Kändler was the son of a pastor and received a classical education which gave him an excellent knowledge of Greco-Roman mythology used to great effect at Meissen. 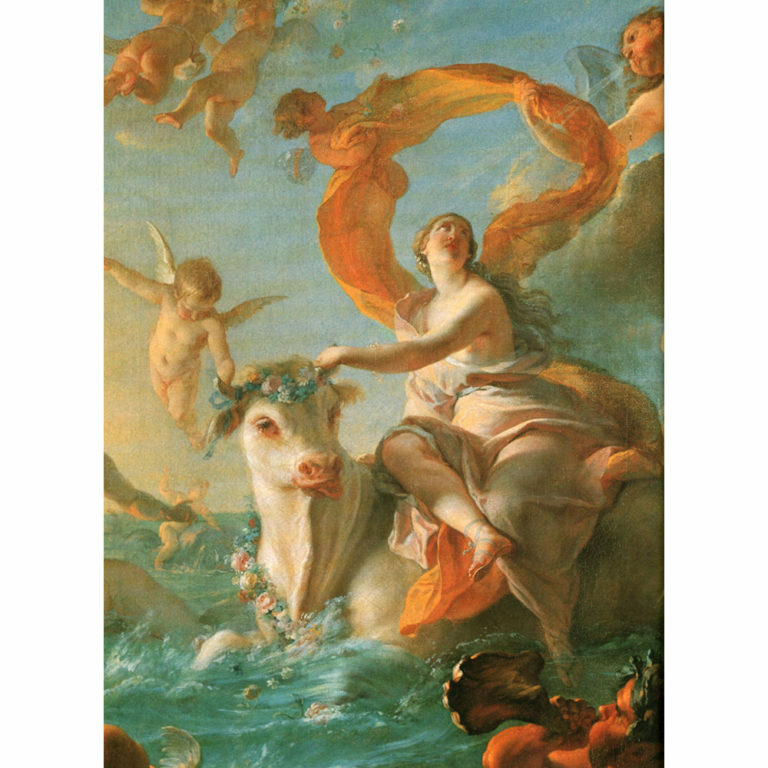 One of his most spectacular works was the Chariot of the Sun made for the Czarina Katharina which is on display in Fantastique together with rococo porcelain sculptures of Cupids, Putti, Satyrs, Tritons and Nymphs and even a Drunken Silenus. 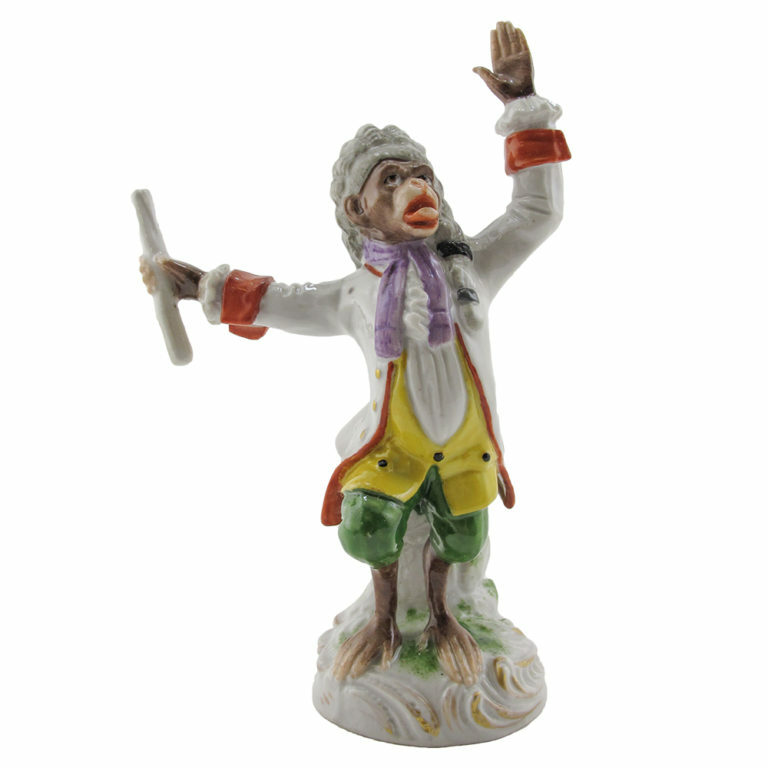 Many of Kandler’s models continued to be produced well into the 19th century and some are still being sold by Meissen today, including his Monkey Orchestra, first created in 1753, which has a timeless appeal.